A well-woman exam, or annual exam, is a once a year visit with one of our internal medicine doctors for a general health check including a breast exam and pap smear. The medical team at Addison Internal Medicine believes that an annual well-woman exam plays a crucial role in maintaining a to a woman’s general health and well-being. Having regularly scheduled breast exams to detect early symptoms of breast cancer is one of the most important steps you can take to ensure long-term health. 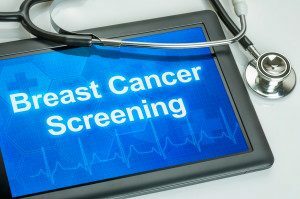 At Addison Internal Medicine, we believe regular breast exams contribute to the early detection of potentially cancerous masses. Our internists use the latest imaging equipment to scan for tumors, cysts or any abnormal tissue growth. If necessary, our doctors can offer comprehensive treatment solutions. The Pap smear is a screening test our doctors use to check for cervical cancer. Because most cervical cancers can be detected early by regular screenings, our doctors encourage women to include pap smears in their well woman exams. Our internal medicine doctors have close relationships with specialists in the area. Our team can refer you to specialists for services such as a bone density test. To schedule your breast exam or annual visit with our experienced doctors at Addison Internal Medicine, contact us online or call 972-733-3090.